There is a gap in the story. Nebuchadnezzar disappears! He sees God as King, the only King who had power over him. And so he is finished. His funeral is not mentioned, because it is irrelevant. Daniel cared about this king. He could…because he was free of Nebuchadnezzar by having no fear of him. 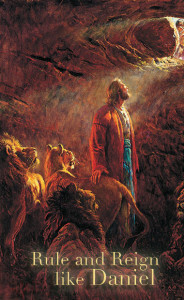 Daniel well knew the One Who ruled over the king.